New Spot, New Song, New Start. Moving across the country to the bustling city of LA is bold, risky, and terrifying, but definitely worth it when aiming to pursue your dreams and career endeavors. 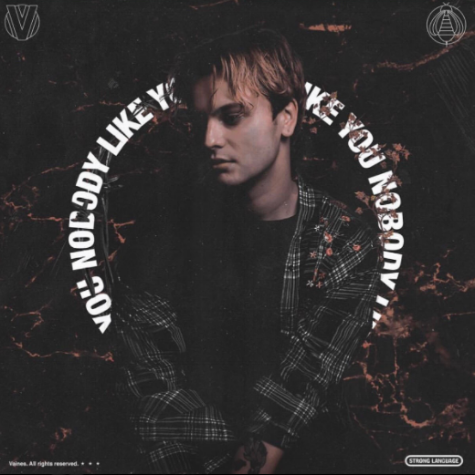 Vaines is a fresh artist that proves making that leap pays off with his edgy, passionate debut single, “Nobody Like You”. Jared Gaines, the talent behind Vaines, made the move to LA from Toledo, OH about a year ago to chase after his musical goals. “Nobody Like You” gives off serious “The Weeknd” vibes, and we are living for it. Gaines has such a natural quality to his voice. His lyrics and tone combined with the promising instrumentals produce an intense, eerie sound that drips with emotion and loneliness. This song is catchy, new, and relatable. Everyone has that someone that comes to mind; the one they keep thinking about yet know they don’t need, the one they try to move on from and put in the past. The lyrics in this song vividly paint how one can dwell in their own loneliness. This song is a sad, dramatic masterpiece. Vaines has joined the sad boy club with his sad boy single “Nobody Like You” and we are eager to hear more from this creative artist. Stream “Nobody Like You” on Spotify HERE.